Okay, you know it's been a crazy Monday when I am writing my Manicure Monday post this late and I'm using nail wraps (this is why I have a big supply!). So, sorry it has been a crazy day. Now to me, the best part of nail wraps is that it looks like I spent a lot of time on my nails when I don't have any time to spare! 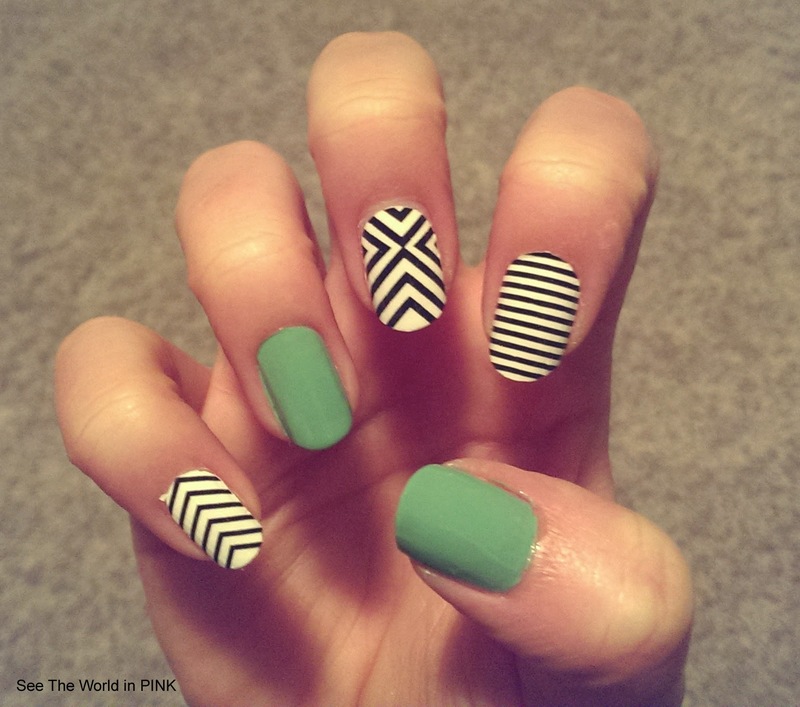 Today I am trying Formula X nail wraps with an accent nail! 5. Form the wrap on nail, using fingers to smooth out any bumps and make sure it is tucked nicely in to the sides of your nail. I used a little green since we are close to St. Patrick's Day and I think it turned out to look really great with this pattern!